“Coconut oil”—sounds familiar? Yes, it is the same super ingredient that has adorned our kitchens for decades. Most of us would not have thought much about it other than the aroma and flavor it adds to our food. But there is a lot more to it. Scientists have discovered various surprising benefits of including coconut oil in our daily routine. Following are some of the prominent uses of this super food. Coconut oil has a high smoking point. This makes it a good candidate for high temperature cooking. Unlike other oils that oxidize at high temperatures, coconut oil remains stable. It can act as a good substitute for your coffee creamer. Apart from providing a rich creamy flavor, adding coconut oil to your morning coffee increases your dose of energy. Popcorn tastes better with a scintillating aroma of coconut oil. Toss the popped corn kernels with a coating of coconut oil to get the rich taste. Adding a few drops of coconut oil to fruit smoothies enhances the cholesterol fighting compounds in them. Make your baking episodes healthier by substituting baking butter with coconut oil. In this way, you can replace the unhealthy fats of butter or vegetable oil. The coconut oil can also be used to grease your baking trays. Whenever you look for sugar-based energy drinks, choose the healthier alternative. A glass of water with coconut oil and chia seeds acts as a good energy booster. Looking for ways to protect your eggs for a longer period of time? Seal the eggshells with a coconut oil layer before placing them in refrigerator. This helps the pores to stay shielded from the air, thereby extending the egg’s lifetime. Usually the fats and oils that adorn our food plates are composed of long-chain fatty acids that are hard to digest and are harmful to our bodies to a certain extent. 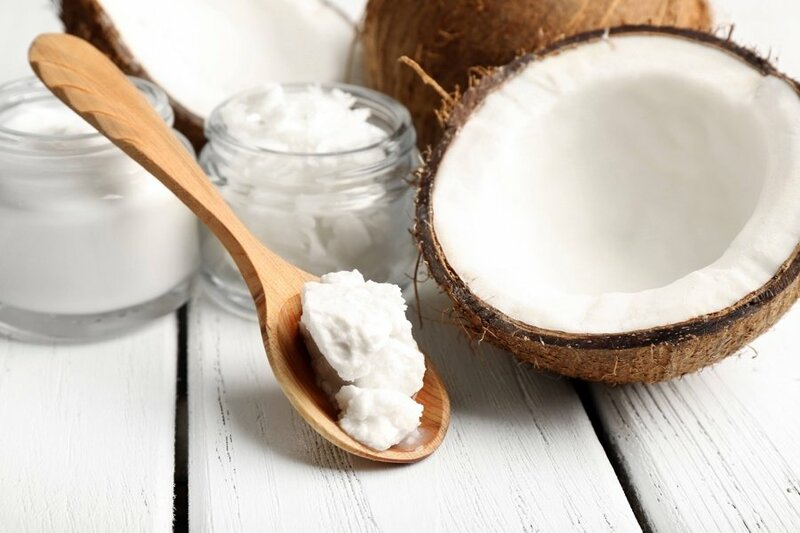 Contrary to popular belief, coconut oil is composed of medium-chain triglycerides that are directly absorbed by liver and converted into energy. The medium-chain triglycerides in coconut oil have a therapeutic effect on various brain disorders. 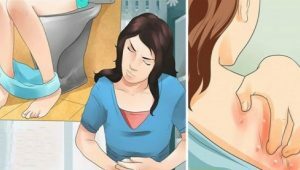 People who include coconut oil in their staple diet have a lower occurrence of heart attack and heart related diseases. Coconut oil increases the fat expenditure of your body and converts it into energy. This is due to the presence of medium-chain triglycerides in coconut oil. Coconut oil is composed of a component called lauric acid, which helps control and cure infections when ingested. The ketone bodies present in coconut oil help to reduce your appetite. It can therefore be used as a prominent component in weight reduction diets. Occurrences of epilepsy in children have been found to decrease with a ketogenic diet of coconut oil. The increased composition of ketones in the body helps reduce drug-resistant seizures dramatically. Coconut oil contains high amount of good cholesterol contributors, which in turn help regulate the blood profile of cholesterol levels. Alzheimer’s disease and dementia can be controlled via consumption of a proper coconut oil diet. The ketone bodies present in this oil aid in the energy supply for the brain, acting as an alternative to damaged brain cells. Coconut oil can be used as a substitute for diaper rash creams for babies, treating the rashes without use of chemicals on a baby’s delicate skin. Application of, as well as oral consumption of, coconut oil can help in curing arthritis due to its anti-inflammatory properties. Inclusion of coconut oil in a daily diet is shown to increase the absorption of calcium and magnesium by the body. Coconut oil can be used as a natural sunscreen with SPF4 to protect your skin. It also helps increase the skin’s tolerance to suntan when applied regularly. The commonly occurring cradle cap condition in babies can be treated by applying a small layer of coconut oil. Massage the oil for a few minutes and then rinse with warm water. Coconut oil helps control frizzy hair when applied through the hair strands after a shampoo wash. It also adds moisture and shine along with adding volume. Apply a generous amount of coconut oil to the wet strands. The application direction must be from root to tip. A smoothing body scrub can be prepared by mixing equal parts of coconut oil and sugar. While sugar granules exfoliates the skin, coconut oil helps achieve smoothness by locking the moisture in. To get rid of lice, mix coconut oil with apple cider vinegar. When applied tropically on a daily basis to hair, the solution can eradicate lice. Performing oil pulling with coconut oil and a drop of oregano oil helps in maintaining good oral health and stronger gums. It can be used as a natural moisturizer for skin. Apply a light layer of coconut oil all over your body after a bath or shower to get a smooth skin texture. Coconut oil serves as a good lip balm for smoothing chapped lips. This lip balm can also be applied to nails as a cuticle softener. The dark circles and puffiness around the eyes can be a beauty spoiler. A coating of coconut oil can be applied to the delicate skin around the eyes to treat such conditions. Note: warm the coconut oil slightly before dabbing it under the eyes. 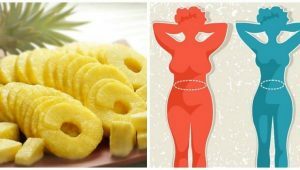 Rubbing coconut oil over the stomach during and after pregnancy helps reduce the occurrence of stretch marks as well as the fading of already formed stretch marks. Apply warm coconut oil on the scalp and wrap it with a wet warm towel. Leave it for 10 minutes and wash your hair. This treatment, when followed consistently, helps in reducing dandruff and also acts as a good hair growth vitalizing agent. Razor burns can be irritating. Applying coconut oil on the shaved area helps soothe the irritation and itching. Try massaging a few drops of warm coconut oil over the face to remove makeup. The makeup can then easily be removed after rinsing with warm water. Cotton balls or wipes can be used to remove the superficial layer of makeup after the massage.